Need an appointment? Schedule one today with our easy online form. Learn more about the various procedures we offer at our centers. Have any questions or comments for the physicians? Leave us an email. Why Choose Urology Centers of South Florida? 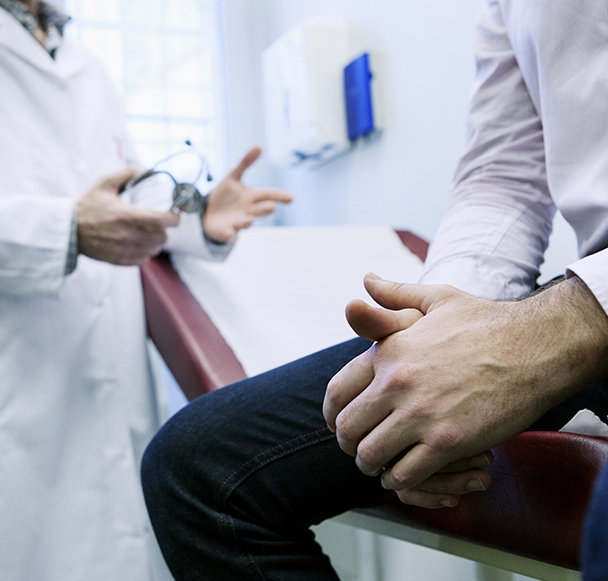 The urologists are experienced and experts in Cancers of the Prostate, Bladder and Kidney as well as Kidney Stones, Urinary Tract Infections, Urinary Incontinence, Male Sexual dysfunction (Impotence), Male Infertility, Laser Prostate Surgery, Robotic Surgery and Minimally Invasive Surgery (MIS) of the Urinary Tract. No scalpel vasectomies are performed in either the office or outpatient surgery facilities. With the experience of the physicians in this office, there is no better place to obtain urological care in South Florida. We are known to be leaders in the field of urology. Since the formation of the group, we have always been on the leading edge in urological care to provide new and innovative procedures, such as the ESWL (Extracorporeal Shockwave Lithotripsy), Brachytherapy and numerous minimally invasive surgical procedures. We continue to offer the most current and cutting-edge therapies and procedures. The office has also been involved in numerous investigative scientific studies.